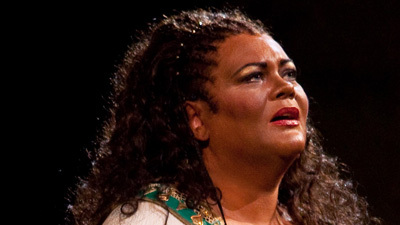 Verdi’s opera is a perennial favorite and often attracts stellar casts at the Met, but seldom has there been such a glittering group of singers in one performance. 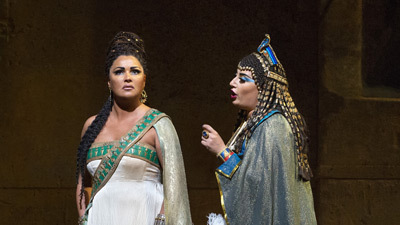 The legendary Leontyne Price is Aida, one of the roles she was destined to sing. 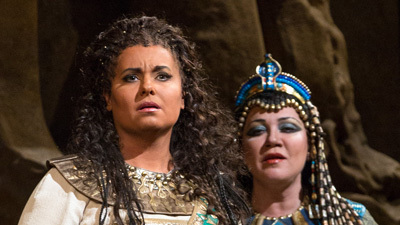 Her rival, Amneris, is none other than Marilyn Horne, acclaimed as one of the greatest singers of the 20th century. Both women are in love with Radamès—and why wouldn’t they be when he’s sung by the astounding Plácido Domingo. Cornell MacNeil and James Morris co-star, and James Levine galvanizes the Met orchestra and chorus.